Isabella Briers in Culture & Arts Drama on 7 February, 2019. 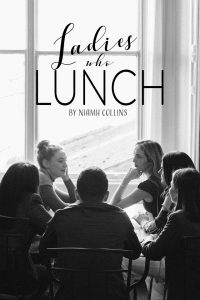 Niamh Collins’ Ladies Who Lunch is a masterful, evocative, and captivating play. The genius of the writing and the deeply sensitive performances by the cast give the play a gravitas which usually lends itself to the realms of professional theatre. The play’s premise rests upon a meeting of old work colleagues who spent their early adulthoods together. These four women, each owning a distinct lens through which they view life, reunite after thirty years of silence. A silence that becomes more deafening with every layer of difference artfully unravelled. The play doesn’t physically move. Its one focus is on a restaurant table where opinions and heartache are poured out for dissection. First at this table is Sally (Esther Levin); a woman of dry wit who gives the impression that she has no great desire to relive the good old days- she has suffered in her time. Her character is expertly contrasted with spritely Jean (Anne-Marie Garrett), a largely comical figure, nattering away and initially oblivious to underlying tensions. Vera (Katie Cervenak), their old boss, remains a domineering, opinionated woman- filled with a sense of self-righteousness at how she has lived her life and raised her family. Finally, Sandra (Eleanor Hartland) arrives with her daughter Lorena (Nicola Samosa), a career woman, divorcee, and single mother with very different family values to most of the party. The pair depict a fractured mother-daughter relationship which is scrutinized throughout. Some initial highlights include Sally’s sarcasm as well as Jean’s chatterbox ramblings about her daughter, Jodie. The comedic timing is always spot on and comic relief remains interwoven at carefully selected moments later on. The waiter, played by Calum Maclean, is employed as a kind of anchor to the present reality, useful when the meeting seems to be living so much in the past. Various lines naturally illicit laughter like ‘an ugly Italian- that’s just sacrilegious!’. Also, Vera’s over the top extravagance and, of course, Sandra’s explanation about her weight loss – no butter, no chocolate, no potato, and ‘here we are!’. The shift in tone underpinning the remainder of the play is marked by a quip about toast giving you cancer- a catalyst for Sally’s illness revelations. In the ensuing, heated debate, it comes to light that nobody sitting at that table has led a perfect life, nor been a perfect mother. And yet, here they all are, their children ‘all survived’. 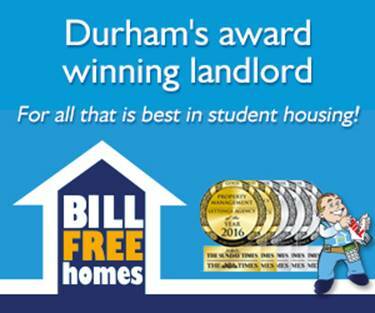 The staging is superb – fairly simple but it serves its purpose well. An empty eatery, an ornate table, bathed in warm lighting. Sally and Lorena, perhaps the two figures who most break away from what Vera would deem as ‘good mothers’, the ones who did it differently, wear red at either end of the table. The outcasts, in a way, get their own monologues in a harsh spotlight. They have the most to explain. The very fact they have to explain is testament to the ‘blame game’ which comes up in the unfolding debate. The striking direction of the ending too, when Vera can do nothing but put a silent hand on Sally’s shoulder as she leaves, and Jean and Sandra cannot escape soon enough, was executed fantastically. This, again, left the two in red. They relate to each other and acknowledge the importance of honesty in this complicated web of life we all weave. The cast is excellent. Each performance is captivating and proficient. Enormous credit must go to Esther Levin for probably the most outstanding performance. Under the spotlight, Sally’s heart-breaking story of how her husband left her, her subsequent breakdown, and her struggles, is a raw, emotional torrent. Her tears have the audience in tears. You could be forgiven for feeling apprehension at university students playing women over sixty. This is an unnecessary worry. Believable authenticity stems from the finely pitched script and how brilliantly the mannerisms, voices and costumes vividly render each character. It is also important to note that these women are never simply stereotypes – Sally is not merely standing as a symbol of bitterness or brokenness, nor is Vera just an entitled woman with traditional family values. These characters are established to be just as complex as any human you could meet. They are connected to a world that expands beyond the stage. The play was phenomenal. Vividly believable. Heart wrenching. It carries vitally important truths and deserves to continue living in as many forms as possible. Women need to support women. In a way, this play mourns the lack of support that can exist where it is most needed. There is never the sense that any woman is right, the play is not about righteousness. Friends grow apart, people move on, mothers get it wrong, mothers get it right. Women are human and the play celebrates this. Ladies Who Lunch is on Thursday 7th, Friday 8th February at 9:45pm and Saturday 9th February at 4:15pm in Mark Hillery Arts Centre.